Exfoliation is a great way to brighten and soften your complexion. There are two types of exfoliation: chemical and physical, sometimes called mechanical. The most common chemical exfoliants come in the form of cleansers, moisturizers, and peels. 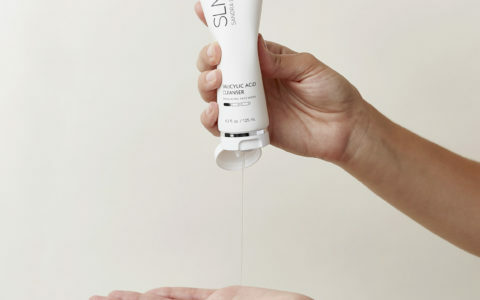 You’ve likely used mechanical exfoliants like sugar or salt scrubs, and you may have even used a chemical exfoliant, such as salicylic acid or glycolic acid. But did you know shaving is one of the newest, most effective trends in skincare? The technical term for facial shaving is dermaplaning. Typically, an esthetician, nurse, or doctor carries out the procedure using a sterile scalpel to shave the surface of the skin, removing layers of dead skin and “peach fuzz” hairs. Considering the long list of benefits this simple process provides, it’s no wonder skincare fanatics are going crazy for this skincare procedure. Why do people choose dermaplaning over other exfoliation methods? This process achieves a more effective exfoliation than other mechanical methods, and is recommended for all skin types. Dead skin and hairs that build up on the face can make your skin appear dull, flaky, and even cause acne if pores or hair follicles get clogged. Dermaplaning is one of the best, most effective ways to exfoliate your face to solve these problems as it stimulates the cell regeneration process. On top of that, there’s no recovery time and freshly dermaplaned faces absorb products and moisturizers more effectively, and your makeup will go on easier than ever! Plus, the procedure can reduce signs of aging, like dark spots and wrinkles. While this painless treatment is suitable for all skin types and is certainly not dangerous (unless you’re attempting to perform the procedure at home, which you should never do), there are some conditions that you don’t want to mix with dermaplaning. Inflammatory conditions like eczema and psoriasis, or even active acne can be enough to make the treatment unsafe. You’ll want to make sure you’re visiting a skincare professional who’s well known for their procedures — someone you’d trust to hold a blade to your face! Won’t my hair grow back thicker or darker? This is a common misconception associated with shaving any part of our bodies. The hair that grows back will be the same thickness as the hair you once had on your face. The peach fuzz that’s been living on your face for longer appears lighter and thinner because it wears over time and becomes bleached by the sun. But fear not; your hairs should be back to the color and texture you’re used to in a few weeks should you decide to stop your dermaplaning treatments. 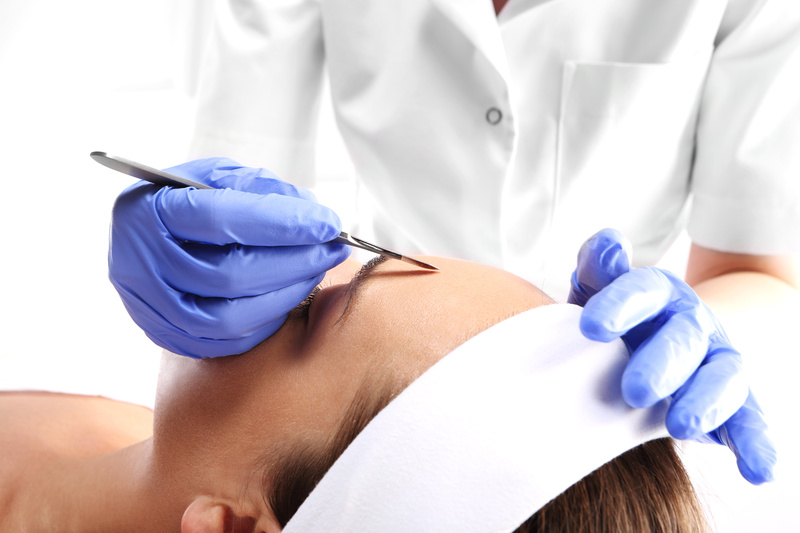 How can I get a dermaplaning treatment? While shaving might sound like a fairly straightforward task, it’s best to let the experts do the heavy lifting when it comes to dermaplaning. You should never try dermaplaning by yourself. For your safety, leave the scalpel to the professionals. Before you see an esthetician, you may want to consult with your doctor or dermatologist, as you should before introducing any new treatments into your skincare regimen. Then, you may be referred to a specialist who can properly carry out the procedure, or end up finding someone on your own. Dermaplaning treatments generally run for between $150 and $250 for each session, and experts recommend the procedure about every 4 weeks. 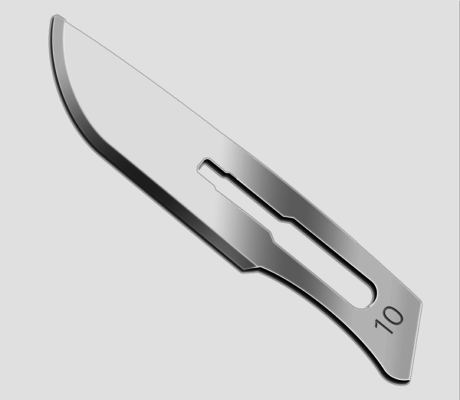 When you’ve found a medical spa or esthetican who performs this treatment, they’ll likely use a sterile #10 scalpel blade. 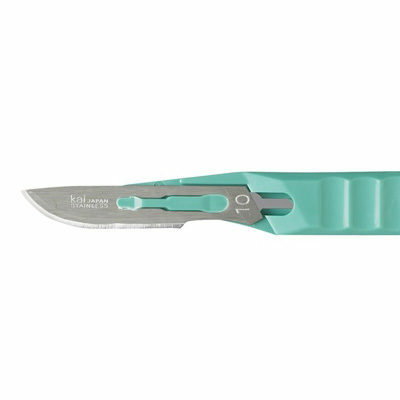 This blade is duller than your run-of-the-mill straight razor blade and has a curved cutting edge with the pointed tip curved up — away from the face! Post-treatment, you’ll want to make sure you apply SPF to your skin as dermaplaning makes you extra sensitive to ultraviolet rays. It’s also advisable to avoid use of retinoids, AHA and BHAs for a week following your procedure. In between treatments, you can enhance your results by using chemical exfoliants at home. If you can’t see a specialist, or if you’re not totally sold on the idea of taking a razor blade to your skin, remember, there are other effective forms of mechanical and chemical exfoliation, from AHAs to retinoids to chemical peels and other skincare products. My 22yr old daughter has an extreme case of hydrenitis suppuvativa which has frequent boils that are so very painful and burst causing her bleeding and holes in her skin. She has consulted dermatologists and there has been no relief or improvement. Please is there something you can help with. It is very embarrasing and painful for her. We live in Toronto Canada. I had dermaplaning done, it was the first time I’d had any type of skin treatment so I didn’t know what to expect. The esthetician explained the process to me so I knew what to expect but she also explained what she was doing as she went along. It was incredibly relaxing and I was shocked when she showed me what was removed. She told me I had fantastic skin to begin with (I don’t have any skin problems, but I was curious what dermaplaning could do for my skin so my dermatologist recommended a few people she trusted to recommend and I purchased a spa package. It was fantastic) but until she recommended a few products for my skin I didn’t have a “routine.” Just took my makeup off at night and washed my face after. I noticed an immediate difference after I started adding a moisturizer. A few years later I’ve become diligent with making sure I’m being proactive with my skincare. I didn’t think I had problems but I still should have treating my skin every day. I know this now. If I don’t use a facial moisturizer after washing my face or getting out of the shower my skin feels tight after drying. Sort of like it’s yelling: HEY! You forgot something!